Once upon a time anime, gaming and pop culture conventions were few and far between, often there would be one or two per year often taking place at a local university. In 2014, things have changed, there are many, many conventions taking place around Australia to choose from, in 2014 here are the major conventions that are taking place in Australia. To start off we will look at the Australia wide conventions, before looking at some of the local conventions. Supanova is by far the most well known pop culture convention in Australia, taking place 6 times a year in the major capital cities (including Gold Coast), it is considered the biggest and the most comprehensive of all the conventions with something for all sorts of pop culture fans whether you are into anime, gaming, comic books, sci-fi or even wrestling, there’s something for everyone here! The event has taken place since 2000 starting in Sydney and has quickly expanded to other cities and now with attendance figures in excess of 100,000 for of Australia, has well proven the dramatic growth of geek culture in Australia. Absolutely unmissable event, with lots of special international guests from a wide variety of backgrounds, Supanova is a highlight and a must attend for all anime fans. 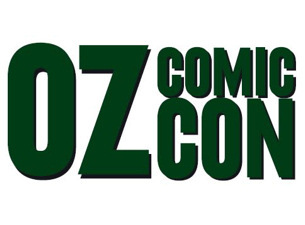 Oz Comic Con made it’s controversial debut in Australia in 2012, the name alone getting a lot of people excited which was discovered that it had nothing to do with the legendary Comic-Con. While this lead to them starting off with a pretty poor reputation, getting Stan Lee on board for the debut event was nothing to be sneezed at and saw sold out crowds in 2012. Overcrowding was a massive problem as teeth problems made things quite difficult in it’s debut year but not Oz Comic Con appears to have this out of the way and have been able to announce in 2014 that they will be touring to all the major capital cities of Australia. While for the average anime fan, this may not sound like your thing but there is still cosplay competitions and anime stalls and of course a solid con worth checking out. The Penny Arcade Expo is a sign of how huge the convention scene is in Australia, the massive gaming convention in America decided to expand into it’s first international event in 2013 into Melbourne, Australia. While tickets were pricey compared to other cons with a 3 day pass costing $120, this didn’t stop the con from selling out faster than any other con in Australia in history, despite the massive venue. For those unfamiliar with Penny Arcade Expo, it is a massive gaming con which attracts the interest of not just gamers but the gaming companies themselves. Many video game developers make their way down to give a sneak preview of upcoming games, LAN tournaments are held for massive prizes. To get an idea of how big of a deal it was, Riot Games, makers of the worlds most played online game League of Legends, decided to officially launch their Oceania servers (off beta) at PAX and held a tournament with a prize pool of $40,000! 2013 was not a one-off fluke for PAX, they’ve announced a bigger venue for 2014, yet within 24 hours of launching ticket sales 3 day passes sold out. PAX is the con to go to if you love your video games. While many might scream bias due to us being involved with AVCon, the reality was we just way too blown away by AVCon and we desperately wanted to work with AVCon more than any other con. The Anime and Video Games convention in Adelaide is generally considered the best anime convention in Australia, well organised, great guests, amazing use of the venue and an amazing atmosphere, it’s so good that the Adelaide Government ranks AVCon as one of their top tourist attractions. The gaming side of things is absolutely amazing, major gaming companies are on board to show off their wares, lots of video games are available on free play and we mean a hundred or so TV’s with consoles setup here, plus an awesome retro gaming section. Also it’s currently the only convention which holds a Neko Nation event inside the con on the Saturday night to party away for free. If you’re yet to go to AVCon, then definitely go and check out if you’re in Adelaide or if you’re interstate it’s definitely worth the trip! The Sydney, Manga, Anime SHow is a regular highlight for anime fans in Sydney, taking place at the stunning Sydney Convention Centre, the event features one of the best stages and theatres for a cosplay competition in Australia. With tonnes of awesome events, from conventional workshops, cosplay and gaming comps to the more unusual like Cosplay Battle Royale. SMASH is an absolutely unmissable event for anime fans in Sydney, this year it is expanding from a one day event on Saturday to an entire weekend. Wai-Con is Perth’s premier anime convention, taking place at the Perth Convention Centre, it has proven to be a well loved and fun event for all the Perth cosplayers and anime fans. In the past Wai-Con has been incredibly well known for their amazing cosplay competitions considered the most well run and entertaining competition thanks to John Robertson and Eugene, the cosplay comp while a highlight at all anime conventions has proven to be a little bit extra special in the past. While sadly the line-up will be changing there this year, it is still going to be an amazing weekend. Although a word of warning for those going, Wai-Con takes place in the Summer (technically it’s a day or two out this year), so even with the air conditioning inside the venue it still can get very warm. While many are excited that Australia is getting more and more cons, it might have proven to be a bit too much for Manifest last year, after putting a convention on annually since 2001, in 2013, the Manifest committee made the unfortunate decision of being forced to close it’s doors. Melbourne’s only dedicated anime convention had seen it grow from a small university convention to the Melbourne Showgrounds. Unfortunately in the last few years the convention had started to hit a few problems, mainly in regards to increased competition, other conventions such as Supanova, Armageddon and Oz Comic Con, even though they weren’t anime dedicated still made things hard for them. 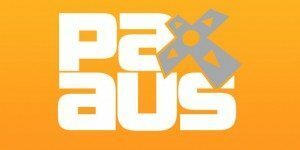 The announcement of PAX in 2013 even made interstate conventions very nervous, SMASH and AVCon being forced to rearrange dates, let alone how Manifest must have felt. 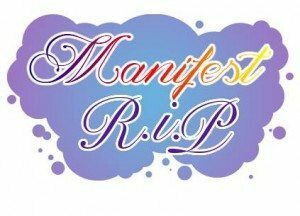 While Manifest was proven to be a well loved convention by the anime community of Melbourne, there were numerous problems behind the scenes which lead to poor organisation and problems with the event which initially lead to it’s demise. While many (anime) cons were growing dramatically across Australia, Manifest wasn’t and even the possibility of a downsize wasn’t enough and were forced to shut up shop in 2013.